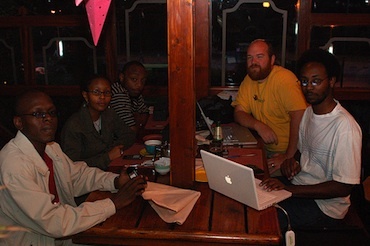 Read an article today about startups and others in Kenya providing electronic medical care via mHealth and improving the country’s health care system (see Kenya’s Startup Boom). It seems that four interns were able to create a smartphone and web App in a little over 6 months, to help track Kenya’s infectious disease activity. They didn’t call it healthcare-as-a-service nor was there any mention of the cloud in the story, but they were doing it all, just the same. The Kenyan government was in the process of contracting out the design and deployment of a new service that would track the cases of infectious disease throughout the country to enable better strategies to counteract them. They were just about ready to sign a $1.9M contract with one mobile phone company when they decided it was inappropriate for them to lock-in a single service provider. So they decided to try a different approach, they contacted the head of the Clinton Health Access Initiative (CHAI) who contacted an instructor at Strathmore University who identified four recent graduates and set them to work as interns for $150/month. They spent the spring and summer gathering requirements and pounding out the App(s). At the end of the summer it was up and running on smart phones and the web throughout their country. They are now working on an SMS version of the system to allow others who do not own smart phones to be able to use the system to record infectious disease activity. They are also taking on a completely new task to try and track government drug shipments to hospitals and clinics to eliminate shortages and waste. The story cited above says that there are at least 45 mHealth programs actively being developed or already completed in Kenya. Many of them created by a startup incubator called iHub. We have written about Kenya’s use of mobile phones to support novel services before (see Is cloud a leapfrog technology). MedAfrica App which provides doctors or dentists phone numbers and menus to find basic healthcare and diagnostic information in Kenya. There are many others mHealth projects on the drawing board including a national electronic medical records (EMR) service, medical health payment cards loaded up using mobile payments, and others. It seems that Kenya is becoming a leading edge provider of mHealth solutions based in the cloud mainly because it’s inexpensive, fits well with technology that pervades the country, and can be scaled up rapidly to cover its citizens. If Kenya can move to deploy healthcare-as-a-service using mobile phones, so can the rest of the third world. Speaking of mHealth, I got a new free app on my iPhone the other day called iTriage, check it out.